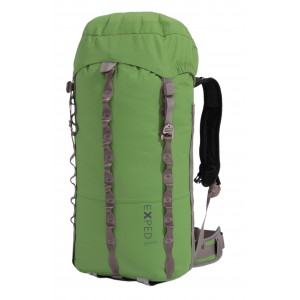 The Exped Mountain Pro 30 Pack is a weatherproof alpine all-rounder for daytrips. Virtually waterproof single compartment mountain pack in a clean design developed in collaboration with professional mountain guides. The focus was clear: remove the unnecessary, refine to the basics, yet create a pack with with the features needed for summer and winter use in the mountains.